We do see airlines starting to come public with their plans for next summer already. Delta came out with an ambitious new schedule that is supposed to reduce flights by 6% during the most congested hours. They’ll do that by shifting flights to other times. For example, flights to the closest parts of Europe, which I take to mean the British Isles, will leave during a later bank of flights after the rush. They’re also going to be flying bigger planes so that they push more passengers through the old crumbling walls of their terminals. Of course, Delta isn’t actually reducing flights. No. Incredibly, they’re increasing them. I’m thinking they’ll need to start trying the new vertical and roof boarding procedures I’ve shown below. Believe it or not, they are launching 14 new destinations next summer from JFK. There are only two flights to Europe (Edinburgh and, oddly, Malaga in Spain), but there are two cities in the Middle East (Tel Aviv and Amman) and five in Africa (Dakar in Senegal, Nairobi, Lagos, Cairo, and Cape Town). They’ll also head south to Panama City, Guatemala City, Port of Spain, San Jose (Costa Rica), and Liberia (Costa Rica). How the heck are they doing this and reducing flights during peak times? Well, I haven’t seen the actual schedules, but these can depart at different times than the afternoon Europe flights. Africa and Middle Eastern flying takes longer, so the flights can leave earlier in the day from JFK. From Atlanta, for example, Delta’s flight to Dakar leaves at 355p, early enough to beat the peak. Still, this may just end up growing the peak hours. Cool destinations for sure, but it’s not what JFK needs right now. It’s also not what Delta’s decrepit JFK terminals need now either. They’re going to be pumping 20% more available seat miles out of that place. Anyone who flew threw there this summer care to comment? It’s going to be ugly. Don’t think Delta is the only offender here. How about this article talking about BA’s plans. EU-US open skies has apparently encouraged them to start flying from the US to points in Europe beyond the UK. Next summer they’ll start at JFK, of course, with 2 to 3 new cities using 757s. If it works, they’ll only grow from there. If the FAA doesn’t step in, I’d avoid New York next summer. So where exactly should Delta be expanding their service to create a better product for the traveller? Atlanta is operating at near capacity until they get the new International Terminal in, Salt Lake City is too far out of the way for east coast travelers, and CVG has really just become Delta’s RJ hub. If they put all these new flights out of CVG, then they’d need to beef up the JFK-CVG route with more seat-miles, which leads back to the problems you have already discussed. It sounds like instead of blaming the airlines for trying to make money by flying routes that are in demand, we should be looking at other issues, such as the Port of NY’s handling of the airports and the FAA’s traffic control systems and approach/departure routing. Who says Delta should be expanding their service right now? Yes, these are all interesting new routes that I’m sure will be a benefit to the NYC population. Right now, the system can’t handle it, so should Delta just keep expanding and inconveniencing customers to make a point to the FAA? No, that just makes it worse for everyone. Until the FAA can open up more capacity in the region, the airlines all need to work within that constraint. I appreciate what they’re trying to do by moving some flights to off peak times, but I’m skeptical that it’s going to be enough. So maybe Delta should reduce flight operations to some of their more marginal cities in order to make room for these new planes right now. I agree that things need to be fixed in NYC, but until the government takes care of that, Delta has to deal with the capacity it has. I think now is the time for expansion. They have the planes, the routes, and the gates and if they don’t do it then another airline will. It’s all about business. Sure people will be inconvenienced, but I don’t think Delta is scheduling these flights to make a point to the FAA. They are scheduling them because they see the demand is there and they are trying to make their bankruptcy re-organization work. Besides, how many New Yorkers would be willing to fly to ATL or CVG to go to Dakar? New York is the biggest market on the east coast and deserves the direct flights, just like LA deserves direct flights because of its market size. I would say that every New Yorker would be willing to fly through any other airport if they don’t have another option. If Delta doesn’t do this, I don’t think anyone else will, so they’ll either fly through Atlanta or Europe. If New Yorkers support these flights, then yes, they should have it. But New Yorkers might also be able to support 500 more flights a day to a variety of destinations. That doesn’t matter. The airports can’t support it. I flew DL a week ago, JFK-SFO. I wanted to try their new allegedly upgraded F transcon service (big mistake on my part). The flight left from JFK Terminal 2 (T2). T2 is one of the original “Terminal City” facilities. Its original occupants were Braniff International, Northwest (the called Northwest Orient), and Northeast (since merged into DL). Two of those airlines are gone. That should be a hint. The building is a disaster. It is simply not a terribly comfortable bulding to be in. The building was built for 707s — and nothing larger. NW strained in the 70s when it ran its 747s from there. It’s tired, raggedy, and is archiecturally unremarkable. T2 should be razed. DL’s other JFK building, T3, may be viewed by some as being architecturally significant, and it certanly has a historical place as Pan AMerican’s former home. But sentiment is an expensive indulgence at JFK today. I’ll leave it to those with greater expertise about architecture to decide whether the orginal oval part of the building warrants preservation. To me, at elast, the “Worldport” addition that PA built in the 70s should go. With AA already operating from its new terminal, and JetBlue about to open its new terminal next year, DL will offer a disgustingly miserable experience to its JFK customers. DL at JFK is tangibly inferior to those two airliens, as well as to airlines that operate from other newer faciliaties, like T1 and the IA. Instead of piling on planes flying to places that no one wants to go to — if they did, wouldn’t the flights exist already? — DL should invest its captial resources into a new JFK complex that will allow it to create a competitive customer experience. The other tricky part of this that no one seems to have mentioned this time around is the Anti-Trust act. 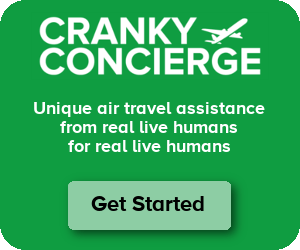 At more congested multi-airline airports (not your traditional ATL, ORD, PHL, CLT, DEN, DFW, etc hubs) but airports that are congested where no one airline controls a majority of the flights if the airlines had some anti-trust immunity they could perhaps make some selective service choices together. Instead of both airlines flying smaller planes into two markets they both serve perhaps they’d each chose one market to serve and fly larger planes to each of their market and fly larger planes to it. I’m sure there are examples of this where a rationalization could be made between airlines to divide markets and utilize airspace more efficiently. Of course this is anti-capitalistic and unamerican in some ways, but there are tradeoffs to capitalism, like air traffic delays.. But in reality the FAA needs to get their @#($*@#$ act together. Thats the bottom line for the issue. What about Pittsburgh? Plenty of room there to operate flights out of since US Airways reduced flights. It would be a good place for either Jet Blue or Delta to use. However with the new Jet Blue terminal going in at JFK, will they ever move? Well, there’s a reason there’s plenty of room – there’s just not much demand. I can’t see why Delta would want to operate there. With Cincinnati and JFK, they pretty much have everything covered. And JetBlue? Well, I’ve heard rumblings that the flights there aren’t exactly the star performers now. I wouldn’t expect them to add much more if that’s the case. Ah, I was suggesting to move the hub to PIT instead of having it in JFK. Granted there wouldn’t be a lot of traffic originating from PIT, but it would reduce the number of flights in and out of JFK. I flew out of T2 this summer on Delta – at a “non-peak” hour, and it was utterly absurd. Almost every other gate at that wretched terminal had a plane leaving within 10 minutes of our flight. Not surprisingly, although our flight boarded and pushed back “on time”, we then had to sit in place at the gate for 60 minutes waiting for traffic to clear at our terminal and at T3 – all other Delta planes – before we were able to sit for 30 minutes in line to take off. I’m silver medallion on Delta, but there is no way at all that I’m flying them out of JFK again. I’m based in NY and travel 60k+ miles/year – yes, all NY airports are bad, and yes, JFK is the worst – but Delta at JFK is the worst of the worst. So much for deregulation making life for consumers better. I think we may be at the point where people realize more regulation, like the banks or airlines, is not necessarily a bad thing. With all being said, plain and simple the FAA needs to get there act in together and be more proactive.